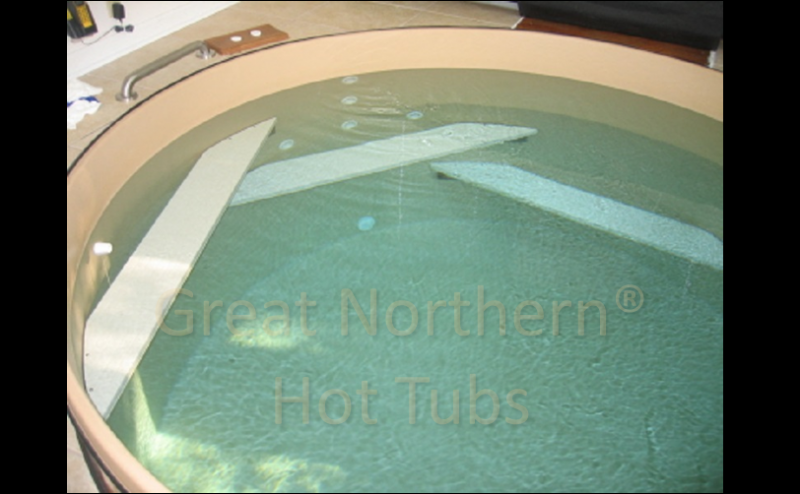 This Rubadub Tub® is 9 feet in diameter and 6 feet deep. The Hot Tub offers dual-purpose benches, which act as steps to enter and exit the tub, with seats for relaxing and jets for massage. The open area allows ample room for water aerobics or Hydrotherapy exercise.